A parliamentary report of 1777 recorded a parish workhouse in operation in Bishop Auckland for up to 150 inmates. The establishment stood at the south end of Newgate Street, and generally contained from thirty to forty paupers. Durham: Auckland St Andrew, Auckland St Helen, Bishop Auckland (4), West Auckland (3), North Bedburn, South Bedburn, Binchester, Bolam, Byer's Green, Counden, Counden Grange, Crook and Billy Row, Eldon, Escombe, Evenwood (2), Hamsterley, Hanwick and Helmington, Helmington, Lynesack and Softly, Merrington, Middlestone, Midridge, Midridge Grange, Newfield, Newton Cap, Old Park, Pollard's Lands, Shildon (2), Thickley, Westerton, Whitworth, Windlestone, Witton-le-Wear. The population falling within the Union at the 1831 census had been 14,632 with parishes ranging in size from Newfield (population 8) to Bishop Auckland (3,090). The average annual poor-rate expenditure for the period 1834-6 had been £4,574 or 6s.3d. per head of the population. 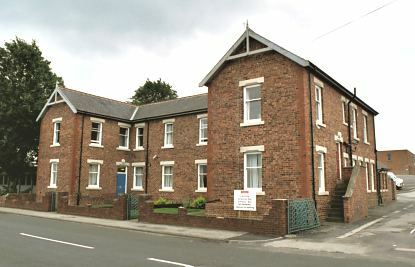 The first Auckland Union workhouse was the former parish workhouse on Newgate Street, Bishop Auckland. In 1853, the Board of Guardians decided to erect a new workhouse and advertised for plans and specifications for a building to accommodate 100 inmates and costing around £2,000. 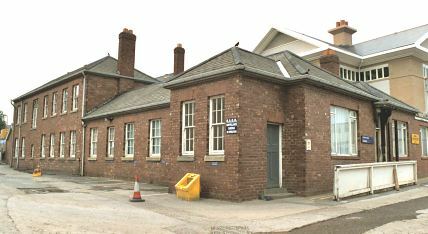 The new workhouse, situated at the west side of Cockton Hill, opened in 1855 by which time the cost had amounted to almost £5,000 including the purchase of 1.5 acres of land. By 1863, overcrowding necessitated the building of an extension which was opened in 1865. Further extensions costing £6,000 took place in 1877-8 which included a 70-bed infirmary at the west of the site, mortuary. Auckland 1877 infirmary from the south-west, 2001. At the same time, casual wards, board-room and offices were erected at the south-east corner of the site. Auckland casual ward block from the east, 2001. In 1894, the British Medical Journal set up a "commission" to investigate conditions in provincial workhouses and their infirmaries. Following a visit to Bishop Auckland, the commission's report praised "the humanity and care evident in the management of the house." It noted that the infirmary wards were adorned with pictures, plants and flowers; there were strips of matting in the centre, and newspapers were provided for the inmates. In one ward, four old women, one with hemiplegia, another blind, one old age, and the fourth with heart disease, all formed a happy family and were allowed them to set out their treasures and hang up their pictures in the room. The report was not entirely with suggestions for improvement, however: the employment of additional nursing staff was recommended, together with alterations in the accommodation for infectious cases. Further details are available in the full report. Further expansion in 1909-11 included a new infirmary to the west of the 1877 one. Auckland 1909 infirmary from the south-west, 2001. A MINER IN SEARCH OF A WIFE, AMUSING APPLICATION TO THE BISHOP AUCKLAND GUARDIANS.—At last week's meeting of the Auckland Board of Guardians, the following letter was read from a miner:—"Having noticed that you have some orphan children and other class of people you want rid of from your Workhouse, I thought it a likely place to get a wife. I am a respectable working man under 40 years of age, a widower with no encumbrance, a good set-up house, a coal-hewer by trade, and wants a wife, as I am completely sickened of housekeepers, having had no less than 18 in as many months. If you can fit me up with a respectable lassy between 30 and 50 I would be glad, and would he glad to take an orphan girl into the bargain free of charge. I prefer a single woman before a widow, as widows won't do for me. I have no particular fancy for beauty; a plain girl will do for me, only she must be clean and industrious. If you have one please let me know and I will come with a. trap and take her away free of charge to the Guardians. Let me know soon, please. "—The reading of this letter caused much amusement, and Mr. Leonard (Crook), moved that a committee of bachelors be appointed to consider the matter, but this was not seconded.—Mr. Todd said they should try to accommodate the man. (Laughter).—The Chairman: I cannot answer that question.—Mr. Leonard: Let him come and have a look round the Workhouse and see if he can find a woman suitable.—(Laughter). —The letter was ordered to be handed over to the Workhouse Master. The workhouse later became Oaklands Poor Law Institution. During the First World War it provided beds for sick and wounded military personnel. This happened again during World War 2, and in 1942 the hospital was renamed the Bishop Auckland Emergency Hospital. From 1944 to 1947 it accommodated German prisoners of war. 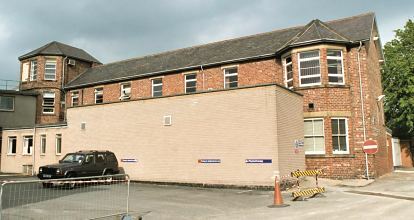 In 1948, the hospital became Bishop Auckland General Hospital. 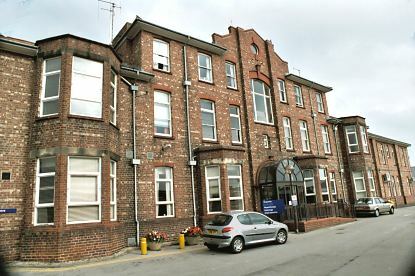 Later building developments have resulted in the demolition of most of the former workhouse buildings. In 1903, two buildings containing four cottage homes for pauper children were erected on Escomb Road to the north-west of the workhouse site. The construction of the homes cost of £6,000 plus furniture. Four foster mothers were appointed to run the homes which had a total capacity of 60 places. The field around the homes was used as a playground. Auckland cottage homes from the north, 2001. Durham County Record Office, County Hall, Durham DH1 5UL. Relatively few records survive. Holdings include: Guardians' minutes (1863-6, 1889-1930); Register of apprentices (1875-97); etc. A History of Medicine in South-West Durham by AJ Ferguson (1989).